Lenovo announced at its Transform 2.0 conference in New York that it’s embarking on a global, multi-faceted partnership with NetApp to accelerate digital transformation for its customers. The move aims to make it easier for both companies customers to modernize their IT architectures from the edge to the core network to the cloud. The two companies are co-developing the largest range of new Lenovo-branded storage products that combine NetApp’s all-flash data management solutions with Lenovo’s ThinkSystem infrastructure. These new products will utilize core software technology from NetApp and will be manufactured by Lenovo. 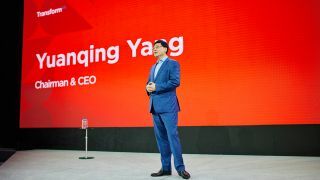 Additionally, Lenovo and NetApp announced a new joint venture company in China to deliver storage products and data management solutions localized and tailored to meet China’s specialized requirements and distinct cloud ecosystem. It’s expected to be operational by spring 2019, pending local approvals. The first solutions from this partnership – Lenovo ThinkSystem DE and DM Series – will be globally available for purchase immediately, with more products to be unveiled in the coming months.